Mr. Media is recorded live before a studio audience of cartooning fans who haven’t been the same since Pogo ended… in the new new media capitol of the world… St. Petersburg, Florida! 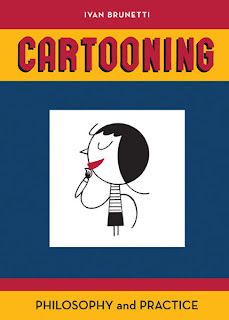 Like a lot of kids, I once daydreamed about becoming a cartoonist. Back at North Brunswick Township High School in Central New Jersey, I was fortunate enough to have the same art teacher, Fred Arnott, from junior high straight on through high school. He had once been an animator on the original “Beany and Cecil” cartoons in the 1960s and well recognized that same desire in me and my classmates. Just one problem: I couldn’t draw. Now I have an almost 15-year-old daughter who can draw, so I’m always on the lookout for ways to help her along. She has her own Mr. Arnott in the form of high school art teacher Mark Runge. But I frequently take advantage of this forum to gain more ideas and knowledge for her where possible. 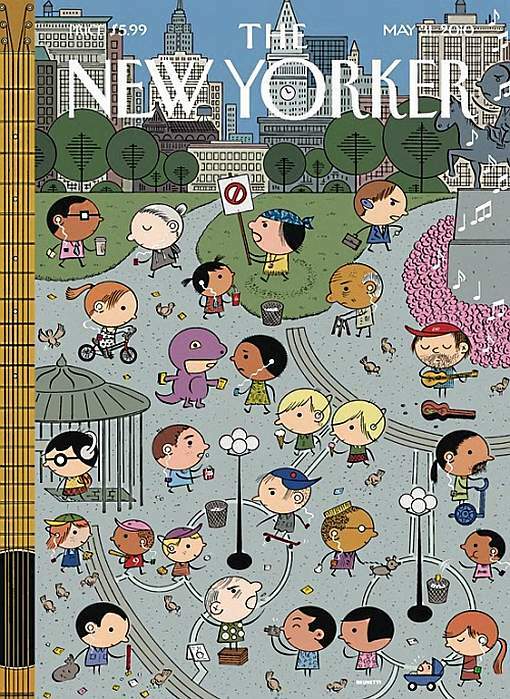 That is the real reason I’ve invited college professor Ivan Brunetti as my guest today. His new book, Cartooning: Philosophy and Practice, is literally a 15-week master course in the art, grown from his practical experience teaching at the University of Chicago and Columbia College Chicago. In a mere 88 pages, Brunetti dispenses exactly what the title promises: philosophy and practice, alongside some really cool illustrations and exercises. 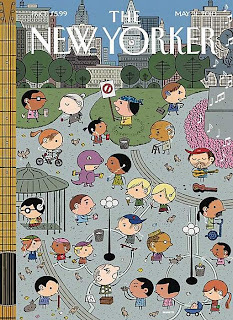 Brunetti’s work has graced the cover and insides of The New Yorker and appeared in the New York Times Magazine and McSweeney’s. He also created two indie comics titles, Schizo and Misery Loves Comedy.